Micro Projector From 3M - MPro 110 ! 3M a German company has been introducing their projects since the beginning of January. Now it has recently stated that their prototype will become the reality soon. To make this true they have introduced a Micro Projector named MPro110. This projector uses an LCos display technology to display the video with 640 x 480 resolutions. To avoid fan noise an LED lamp has been set in the projector. These LEDs are used to display the images bright in a lit room. The major advantage of the device is its weight that is only 0.3 lbs. 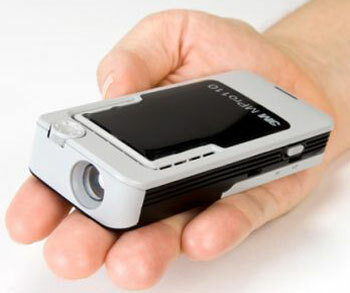 Travelers can use this projector comfortably.